Are you going on a zoo field trip? This is the perfect activity to make your trip a great learning experience before you go, while you're there, and when you get back! First, students cut names of animals out. 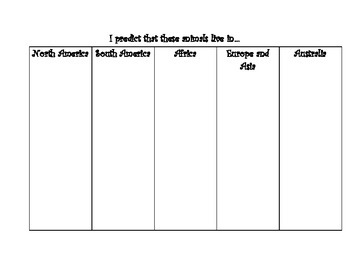 Then, they predict where the animals live. 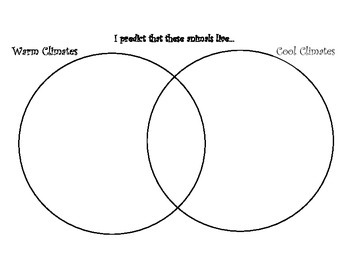 Several charts are included: in my state/ out of my state; on each continent; and a warm/ cool climate Venn diagram. 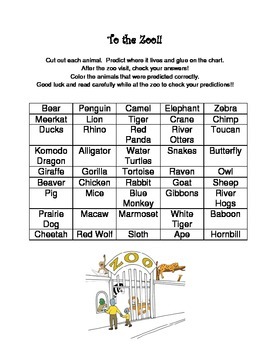 When you return from the zoo, students will color the predictions that they got correct!